Monnington House & cottage offer fantastic self catering accommodation in the hamlet of Monnington on Wye. Luxurious accommodation is offered in both the main house and the adjoining cottage, which are set in 2 acres of gardens. The Main House is perfect for large groups or families looking for somewhere special to stay. The kitchen is large and fully equipped, perfect for cooking a celebratory meal! The dining area seats 18 people comfortably as does the garden table on the south facing terrace. The house has an incredible, sociable layout yet there is plenty of space to retreat to. The property has 9 spacious bedrooms and 9 bathrooms. Guests have use of the games room with pool table and table football, a rustic table tennis room and a playing field with 2 football goals. 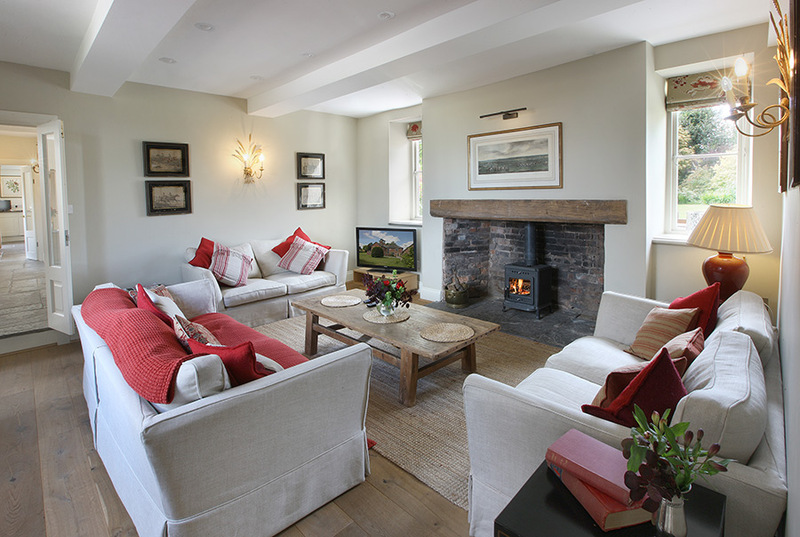 The charming cottage sleeps up to 6 people and is ideal for smaller groups. On the ground floor there is a lovely sitting room which opens onto a large terrace with garden table and chairs. A ground floor en suite bedroom is available - perfect for those with restricted mobility. There are a further two bedrooms upstairs, one of which has a balcony. The house is situated on the Wye Valley Walk & close to 2 cider cycling routes (bike shed and map on site). There is a pub a short walk away which provides good local food. 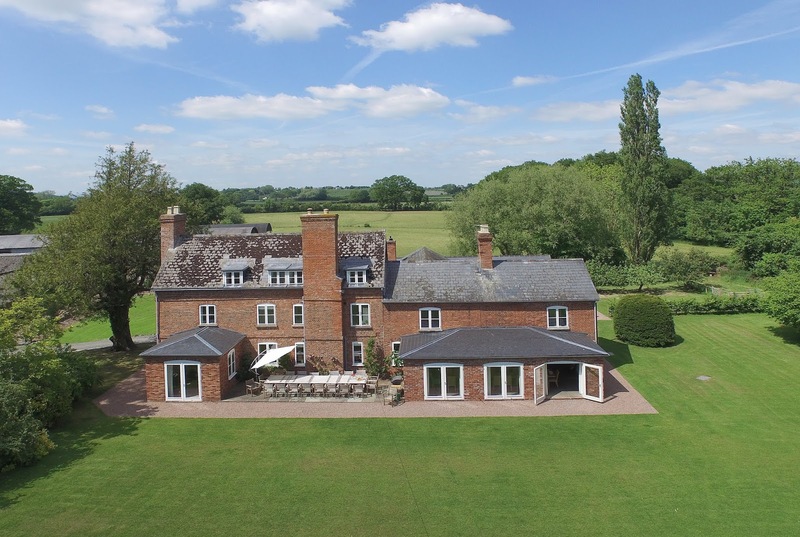 In the local area you can enjoy golf, quad biking, mountain biking & clay pigeon shooting, or venture slightly further afield & visit Hereford Cathedral, The Cider Museum, Blackfriar Priory and Rose Garden or Berrington Hall, to name but a few.